Is the plant a weed elsewhere in the world? Is it shade tolerant? This can predict the plant’s ability to grow in a closed canopy forest. Does it produce a lot of fertile seeds? ; do the seeds remain viable in the soil for more than a year; and are the seeds dispersed by wind/animals/water/birds? Why do we need the HPWRA? To predict if a plant will become invasive. Most people wouldn’t go on a blind date or go to a job interview without researching a person or company. We should scrutinize our plants the same way. The best way to combat invasive plants is to not introduce them in the first place. There are between 250,000 and 400,000 flowering plants in the world, and about 10% to 15% will naturalize here in Hawai‘i if imported. Out of that, a small number (1% to 3%) will become “super weeds.” These aggressive invaders change the ecosystem by making monotypic stands. This affects and changes the soil, runoff, groundwater recharge, native seed recruitment, native birds, and fire patterns. How do we know the HPWRA is accurate/that it works? The results of a test in 2002 proved the HPWRA was 95% effective in predicting major pests and 85% as non-pests. 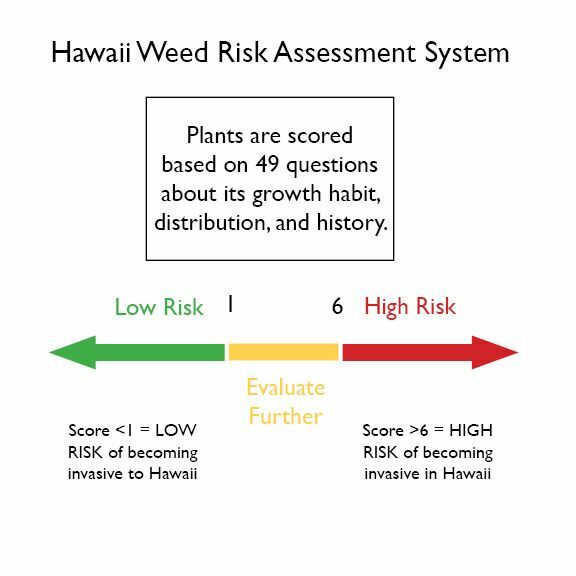 Using a version of the Australian weed risk assessment that was modified to fit Hawaiʻi’s climate, 200 plants were assessed using the newly formed HPWRA. At the same time experts in in forestry and agriculture, along with botanists and weed scientists, rated the plants using their professional knowledge (25 professionals in all). The plants were rated: major pest”, “minor pest” and “not a pest”. What do the HPWRA numbers mean? It’s categorical rather than a grade. 0 or less means the plant is low risk. 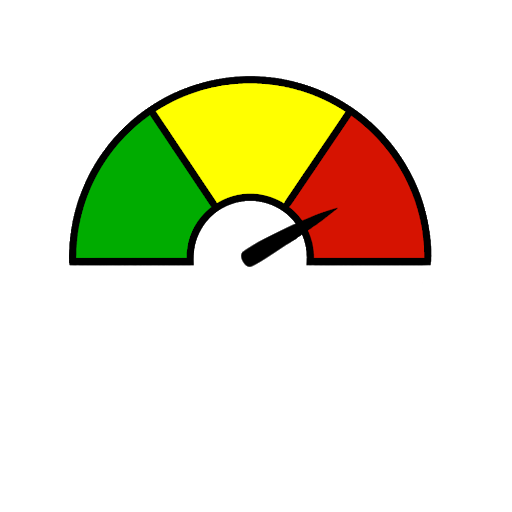 At this time the lowest number for low risk is -14 and the highest is 6. A range from 1 to 6 often means we need more published information to answer the questions. However, any designation can be given to a plant in this range. 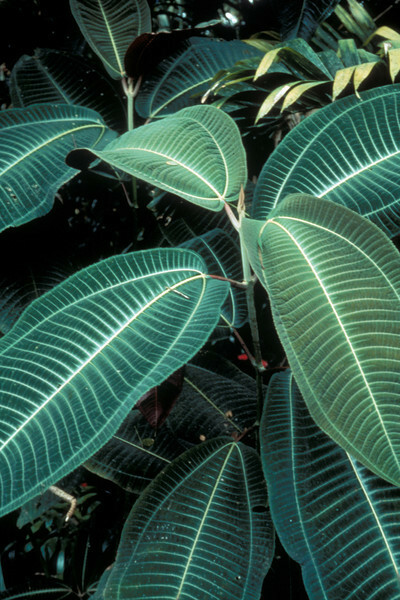 7 or greater means the plant is likely to invade Hawaiʻi’s landscapes or already is. The highest number is 32 for Lantana. Click here for more information. What does the HPWRA have to do with me / my business / my community? It enables all of us to fight invasive species simply by not growing them. It helps save native ecosystems Landscaping in our homes and businesses is a showcase for plants. Some people think if they don’t see a plant invading then it’s not a problem. Becoming an informed citizen of Hawai‘i and reading an assessment might give us insight as to how and why a plant is invading a landscape. 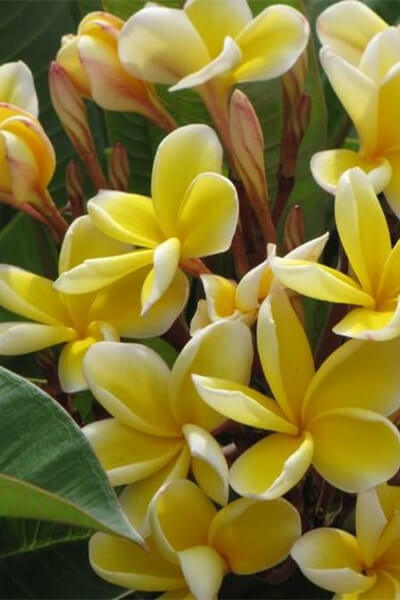 It also helps business build their brand by showing Hawai‘i they care about our natural resources by using low risk plants. Click here for more in depth history of the HPWRA. Has thick growth and is shade tolerant. It’s invasive outside of its native range (Tahiti). Prolific seed production (greater than 9 million per year) and is spread by birds and people. It is not shade tolerant nor does it form dense thickets. Widely planted; not invasive elsewhere. Requires a specialist pollinator and lacks natural vegetative spread.